One of the most highly renowned European producers of expanded polystyrene (EPS) offers raw materials and foamed products for packaging and insulation, now however also on the basis of biobased raw materials. 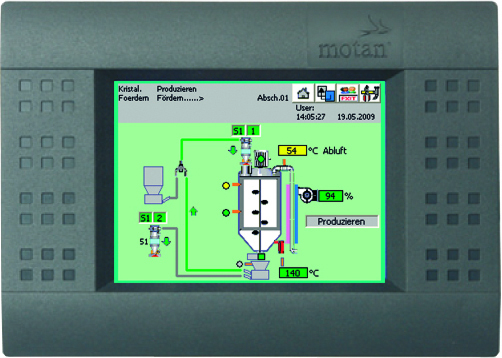 motan-colortronic developed and installed a specially adapted crystallisation technology, together with the user and its sales partner Ora Machines. 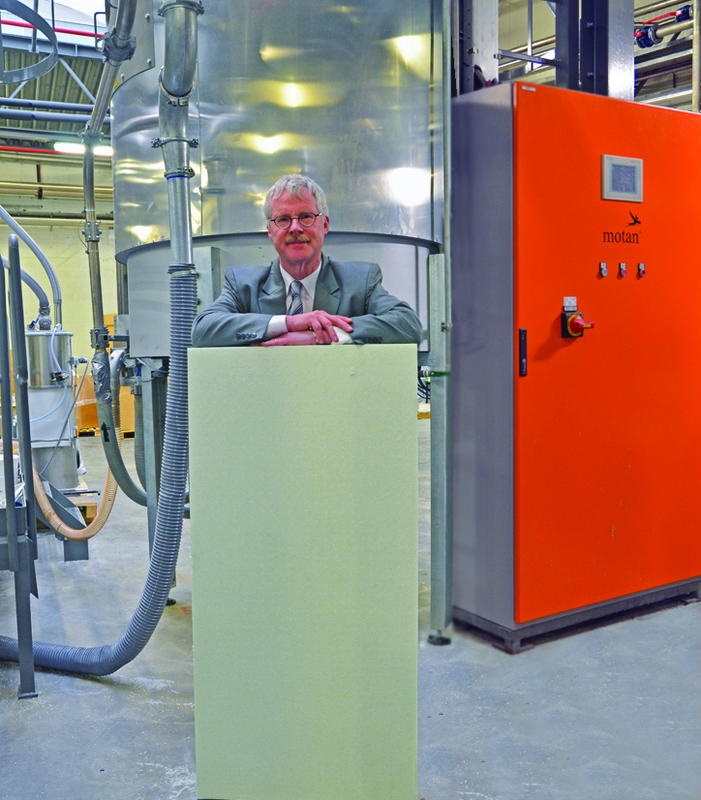 Innovative products such as fire resistant EPS and radiation absorbing EPS are among the innovations of Synbra Group in The Netherlands. 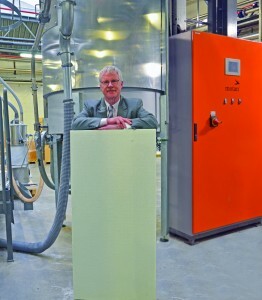 With the slogan “Groener kunnen we het niet maken” [“We can’t make it greener”], the company is now promoting its latest innovation: BioFoam – a patented expanded PLA plastic foam for different applications such as packaging and insulation. Two types of lactic acid are converted into lactides in order to make amorphous polylactic acid (PLA) from them. This in turn serves as the base material for production of foamable materials. It succeeded in 2012 in bringing this material into serial production. In this so-called “green EPS”, around 99% of the raw materials now stem from plants. But the process can also be switched over to complete substitution of oil-based raw materials. An entire range of applications for the “green” foam has in the meantime been realised. “The chemical know-how was to a point already available, after all, we also produce the polystyrene ourselves for our established products. We also brought on board staff of an institute at Wagingen University, with which we hold corresponding joint patents today”, states Jan Noordegraaf, Managing Director of Synbra Technology. It was clearly possible to try out the processes in an understandable way in the laboratory. But it was still an open question whether they would work on a larger scale and how the individual plant components should have to be designed. A key element determining success of the process turned out to be crystallisation. 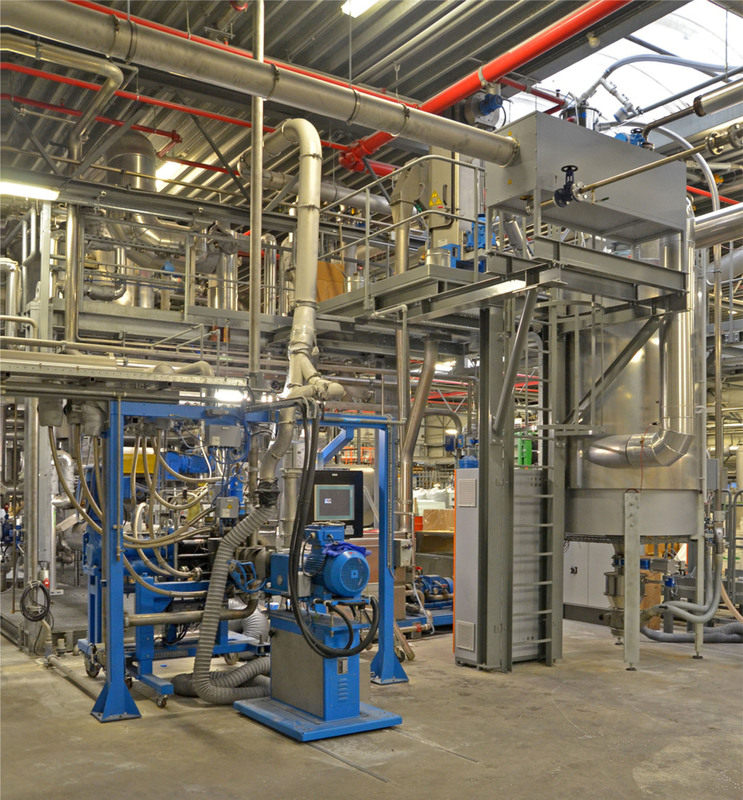 As motan-colortronic had already supplied a number of plants to Synbra via its regional sales partner Ora Machines, trials in the motan-colortronic technical department would show whether existing crystallisation plant could be used for the new product. Based on standard plant – that is also used for other amorphous PLAs and PET – the motan-colortronic application technicians adapted the process for industrial use. Questions of efficiency also played a role here. The challenge consisted, among others, of a very narrow processing window. A special temperature control system was developed to ensure avoidance of voids and adhesion while achieving complete crystallisation. The material is kept in intensive movement in the hopper and processed in a very narrow window. After the PLA crystallisation and drying process had proved its general functional capability in the motan-colortronic technical department, Synbra started soon afterwards with real operation under real conditions in its own plant. In order to realise this on one side quickly, on the other side with transparency of risks involved, Ora Machines lent Synbra a laboratory crystalliser and provided process know-how in the form of its own staff. “We have consciously chosen motan-colortronic and Ora, because both companies work with their own technical departments and were ready to accept responsibility for development. The companies also provided corresponding competence in process technology and are prepared to work on solutions with optimum efficiency. That is very important for us, especially with entirely new products such as was the case with BioFoam”, says Jan Noordegraf in justification of the way in which the project was handled. Operational experience was taken up in the optimised Luxor HDC type of crystalliser and associated equipment that were specially developed for this project. The result is the typical open process management typical for this type of equipment, which minimises hydrolytic degradation of the material and energy consumption through use of an integrated heat exchanger. The standard extremely robust torsion-resistant mixer construction was of particular importance here, on account of the material properties. Temperature control was optimised in line with the narrow processing window. The sensitive control of the amount of air with frequency controlled drives and the automatic running start-up programme offered a good basis for this. The material produced typically contains 100 to 150 ppm of residual humidity.The line for crystallisation and drying with a maximum throughput of 800 kilogram per hour can be scaled up. Large throughput rates can therefore be easily realised as demand increases.